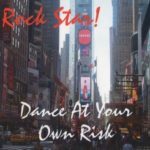 Dance at Your Own Risk CD Release and Achieve Art Show! - Achieve Services, Inc.
Dance at Your Own Risk CD Release and Achieve Art Show! On Thursday, December 15th the new Achieve Clean retail space in Fridley will be hosting a party to celebrate the release of the new Dance at Your Own Risk Christmas Album! There will be music and a live art show along with tours of the new retail space. Additionally, we will be providing FREE LUNCH to everyone who attends! Sandwiches, salads, dessert, and beverages will be provided. Meet some incredible artists and musicians with disabilities, enjoy some free food, and maybe pick up a few stocking stuffers. You don’t want to miss out! Call (763) 717-7801 or e-mail Alex Carlson if you have any questions!